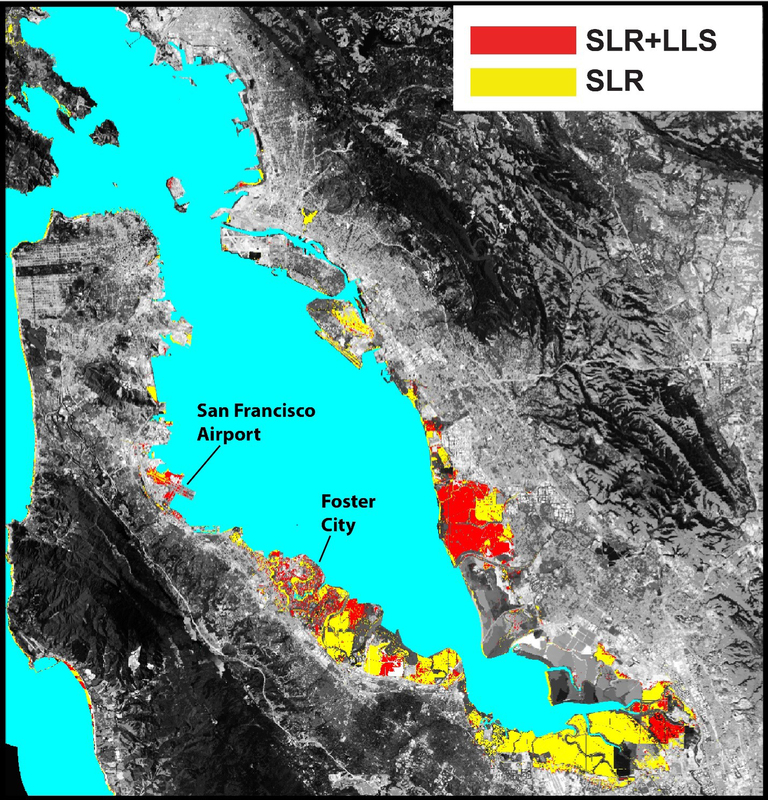 Areas of San Francisco Bay Area at risk from sea level rise. Yellow shows where projected rises in sea level will flood the shoreline by the year 2100. Red shows where subsidence would combine with sea level rise to increase the area prone to flooding.